Many people love to sew. I know someone who started sewing at an early age and hadn’t looked back. If you want to sew goodly, you must need to know some tools that will help you. For good sew you must have these tools before starting. Have at least one good tape measure (if you have had one for years replace this as they can stretch). 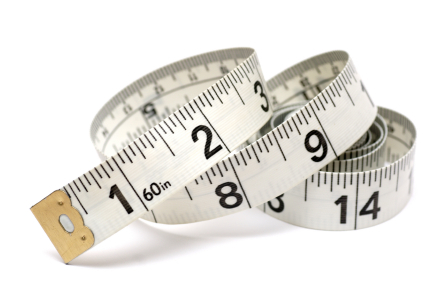 A retractable tape with imperial and metric measurement is ideal. Not only has this short plastic or wooden ruler got the point at one end, used to push out corners, but it has also approximately 4in (10cm) of markings along one edge which can be used to measure and turn up hem allowances, depth of pleats, etc. A wide choice is available from those that fade away after a day or two to those that disappear when washed. These are great for quick and easy markings of darts, zipper or button placement, pleats, etc. but try them on a scrap of fabric first to make sure they don’t “bleed” into the fabric. Chalk is great for temporarily marking fabric as it can be brushed away once you have finished using it Chalk comes in a variety of colors and shapes, from traditional pencils and tailor’s triangles to chalk wheels. These hold fine chalk dust released as the serrated wheel is run along the position to be marked. 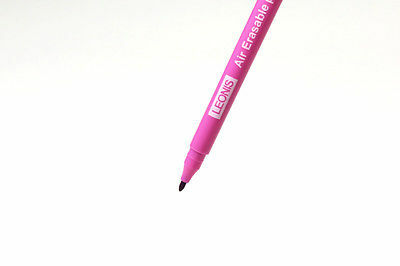 Which is particularly useful for marking darts, pleats, etc. Essential for all sewing good dressmaking shears should be kept away from the family and used only to cut fabric shears are available for right or left-handed use. They have bigger handles than scissors, usually with a larger hole for the thumb, and long blades to cut fabrics smoothly. Shears with a fine serrated blade are ideal for cutting lightweight slippery fabric as the tiny serrations grip the fabric as it cut. 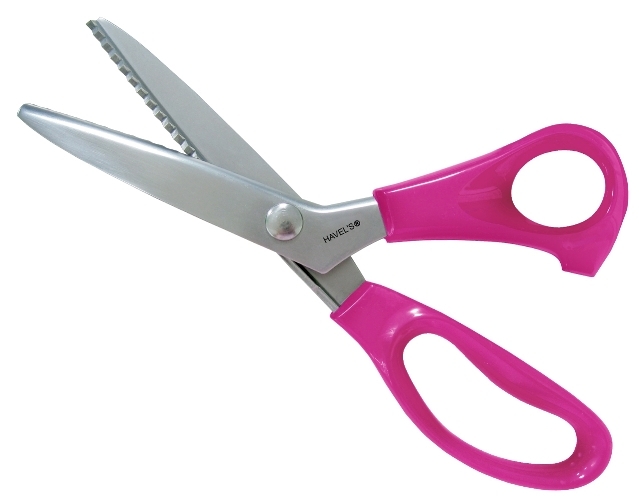 Another must have pinking shears have saw-tooth blades that provide the “pinked” edge. They are ideal for quickly neatening raw edges of cotton and other non-fray fabrics. Small embroidery scissors are useful for snipping into seam allowances, clipping thread ends, curves, notches, etc. The smaller blades provide greater control when handling small areas. This tool is usually part of the sewing-machine tool kit not only is it particularly handy for unpicking stitching. It was particularly handy for unpicking stitching. It can be used to cut open buttonholes easily. It has sharp prong with a curved blade at the base, which is the cutting surface. A good iron is essential for every sewer. I love one that has the ability to iron dry or producing lots of steam. 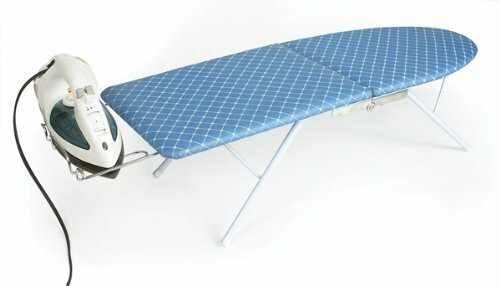 The large ironing panel sometimes makes an appearance, but I much prefer using the smaller Counter-Top Ironing Board. The smaller size makes it easier to pull out and store. This size panel accommodates most of the ironing. I can’t continue with the pattern – right? So, the pattern paper is essential! Also, there are many good books that come with patterns and track use. Books are a good value, if you look at the prices of the individual patterns. I love the pattern paper papers Bosal we at Pacific Fabrics and the role of Palmer perfect model is cool. Find your favourites!